Hey, pal. Do you want a hug? I mean a really big hug! A hug so big that it will smother you from here to eternity like that film with the same name! If so, then please don't read the following interview I did my mate Scott. Because that's about a webcomic called 'Time For Hugs', and not anything else. Many thanks. 1) What are your own origins, Scott? Plus what path did you take in life prior to getting to where you are today? Life stories are always hard to tell, as I've spend 4 years so far, explaining the life story of a fictional skeleton and I'm still nowhere near the end. But if I had to condense 25 years into a few sentences? I suppose I'll explain it like a hobbit to a dragon. I am Navy Brat. I am college jumper. I am book reader and class doodler. I am brother to 3, father to 1. I am a Rock in a storm, a patient waiter. I am the one quick to forgive, but slow to love. I am cartoonist, writer, artist, Skeleton king. 2) What inspired you to create, ‘Time For Hugs’? Alright, so 'Time for Hugs' and 'Unconscious: The Grim Sleeper' are both as interconnected as can be. Unconscious is my webcomic, Time for Hugs is my website / catch all for anything I do. Unconscious began life in a bar, well, not Unconscious per say, but his inspiration. I was trying to impress a girl with napkin art, (I never claimed to be a smart man), and, after the usual stuff, I decided it was over so I drew a grim reaper. The girl said it was stupid and I said "I'll show you stupid" and decided to make a comic about a badly drawn grim reaper on a napkin. Unconscious was born in a German class at college. 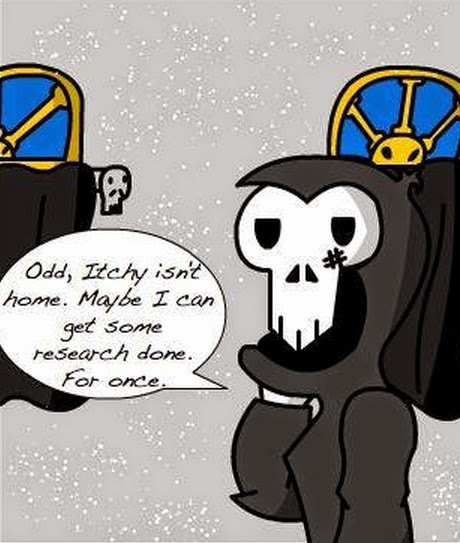 I was trying to think of an original, fun idea based on the grim reaper mythos and decided the Grim's should be a police force and my main character should be the person who is closest to death: Sleep. Time for Hugs began as an idea to split costs between artist friends so that we could have our own website. The idea for the name came from when I drew Itchy -- my sidekick character -- on fire, arms outstretched, saying "Time For Hugs". But, through the years, my artist friends found other stuff to do and T4H is all mine. 3) Can you briefly tell us what this web-comic is all about? While Time for Hugs is a vehicle full of many things, Unconscious: The Grim Sleeper, is my baby. The way I usually describe it to people is Pinky and the Brain meets the Sandman -- but even that comparison I feel falls short in accurately describing it. Unconscious: The Grim Sleeper, is about The Grim Reaper's little brother: Unconscious, as well as a spattering of other Grims, who make up Mother Nature's police force. Unconscious is smart, cynical, sarcastic, and despises his older brother. But not for the reason we despise Death. He is jealous of Death, be it for power, be it for fear, be it for some more personal reasons, he wants to prove he is more important, more powerful than Death. 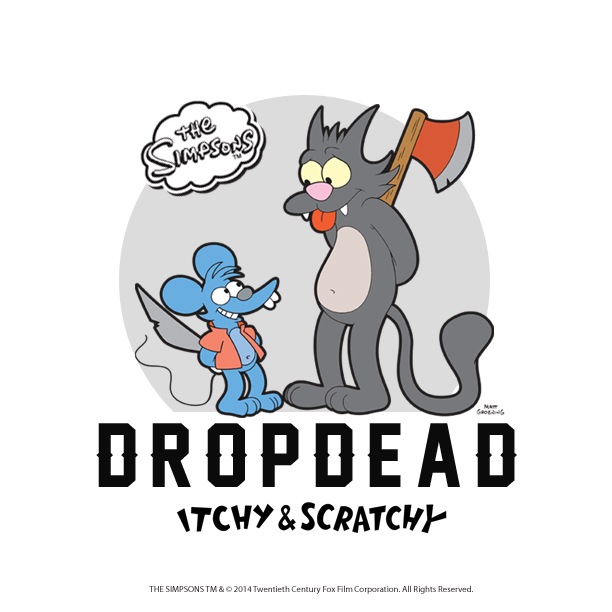 So the story follows his antics as he searches for ways to do this, all the while followed around by his littlest brother Itchy: The Grim Creeper, who ruins everything thanks to a healthy spattering of stupidity. It's part comedy, part drama, all a labor of love. 4) What song would you say best represents your story and why? Uncy actually has a theme song in the works! My good friend Jedi Master Iro-Gen AKA Elliot has been kind enough to put one together. It's instrumental, with each instrument representing a different character. He's done a great job, and, while a little choppy right now, sounds spectacular. 5) If you could get a celebrity – either living or dead – to promote your wares, who would you choose, and why would you want to choose this particular person? I'm going to spin the question a little differently. If I could have one celebrity push my product, not out of payment, but because he liked it. If I could have one celebrity come up to me and say "Scott, I like your work, you're doing a great job" it would be Genndy Tartakovsky of Samurai Jack fame. 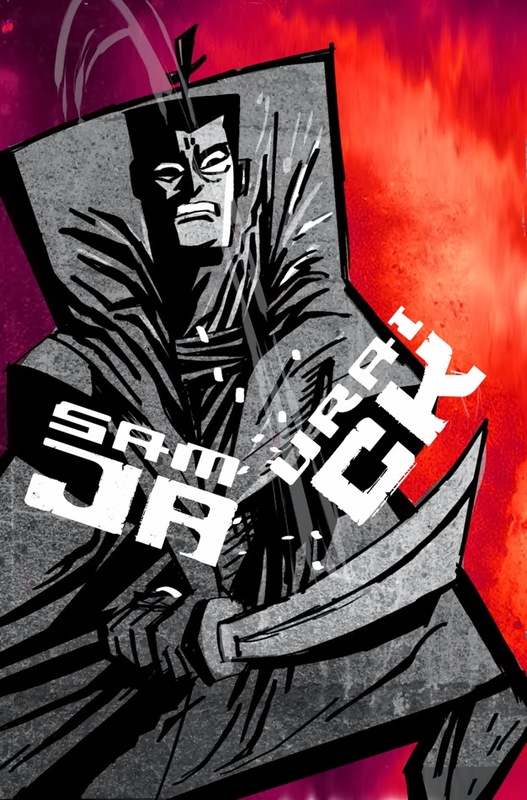 Samurai Jack was the first cartoon I fell in love with, and his style of art and story telling has been a major influence in my life. If I could get his endorsement I'd know I'm doing something right. 6) What have you learnt about yourself through this endeavour? And were their any unforeseen obstacles you had to contend with along the way? I've learned that persistence is the best quality a person can have. If I'd stopped at year one I'd be so disappointed with Uncy. If I let every negative thought, every bad con get to me I wouldn't be where I am now, with caring fans who love what I do and push me to keep going. I've learned that slowly but surely is the best way to create something, one page at a time, one day at a time. 7) During your time in this field, what is the one thing that has kept you in good stead? I love my character. My comic has gotten me 2 jobs. My comic has made me the best friends I've ever had. My comic has taught me how to be more confident in my abilities. My comic has taught me humility. And to that end Uncy has taught me all of those things. Uncy is my child, my friend. Because of all he has done for me I am indebted to him. I'm going to finish his story. I'm going to help him reach his end. Even if I'm living in a cardboard box by that time. 8) If ‘Time For Hugs’ had a motto, what would it be? 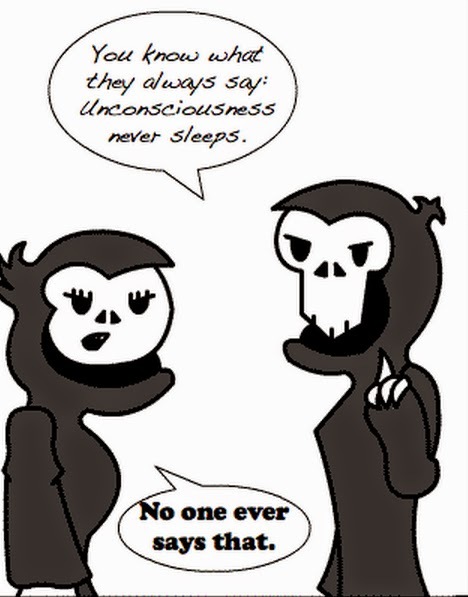 Unconsciousness never sleeps. And on that note, dear reader, all I have left to say is please check out Time For Hugs today. And while your at it, don't forget to follow Scott on twitter too. Go on. Click-click. As it is one hell of a great webcomic.